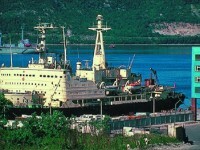 One of the must see when in Murmansk is the St. Alexander Nevsky or Lenin Nuclear Icebreaker. 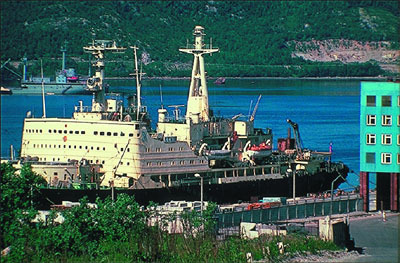 This is a Soviet icebreaker, a world’s first nuclear powered surface ship as well as a civilian vessel. 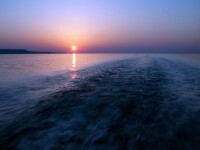 Since 1959, it has been operating until 1989 as its hull had worn thin due to the ice friction. Laid up at Atomflot, now it is a museum ship. If you prefer a religious site which is also a historic site, there is an interesting Russian orthodox church some distance from the city center. St. Nicholas Church named after Svyato-Nikolskaya Tserkov, the patron saint of sailors, is an impressive cathedral and now an important Kola Peninsula’s religious administrative center. All thanks to the congregation from the little wooden church. It went through threats from the government to have it blown up, but demonstrators sat around to block the miners as a form of protest. In Moscow city, there were also protests which succeeded. You can see it today, from public transportation such as trolleybus (no.4) where you will have to walk past a pond, up the stairs and then walk along a dirt trail where you will see the cathedral on the right after the main road. Also known as NF, the flagship of Russian Navy is the museum where you can chat with the officers and sailors, familiarize with the ship, service conditions of naval mariners. Gaining a patriotic education was the initial idea for the younger generation. Museum excursions and on board trips, in addition, there will be different types of small arms and you can also watch the service conditions of conscription servicemen. 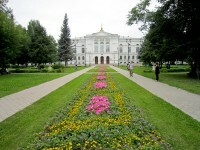 There are also cultural events. The other museum where you can see interesting expositions is the Regional Museum of Local Lore in this largest city in the world, Murmansk. There are lots of varieties of wildlife and you can get to see their mineral resources. Historical monuments of the Kola Peninsula. The other must see is the dry aquarium where you can see the underwater life of the Barents Sea. Diorama of Aurora Borealis is presented too. Exhibits of original tools and traditional house interiors, crafts of the Saami people are also showcased. 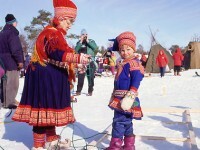 Saami people are Arctic indigenous inhabitants whose livelihoods include coastal fishing, sheep herding and fur trapping. It is an interesting museum and be warned it is opened daily from 1100 til 1800 but not on Thursday and Friday.